Thermal Bridging: What are the Effects? Thermal bridges are points in the building envelope where a difference in thermal energy transfer is perceptible, causing more thermal energy to flow from inside to outside. As a result, in a “heating climate” the surface temperature in the room decreases more quickly than in adjacent areas. Where excessive thermal bridging exists in a structure, energy requirements and heating/cooling costs increase while energy efficiency decreases. This affects indoor air quality and may damage structural elements within the building. Increased heating requirement and energy consumption: The increased heat outflow leads to low internal surface temperatures which have a negative effect on thermal comfort and increases energy consumption. Indoor air quality: The interaction of warm, moist air on cold surfaces leads to the formation of condensation. Together with dust and wallpaper paste or paint, this creates an ideal feeding ground for mold and the potential to cause health issues. Risk of structural damage: Constant condensation can cause the building to become damp. Moisture penetration can cause long-term structural damage to the building. Permanently damp building components also cause increased thermal conductivity, which reinforces the thermal bridge. Both in new construction and renovation, thermal modeling and analysis should be used to identify thermal bridges. Architects, engineers, enclosure professionals and tradespeople have an equal responsibility to guarantee that the necessary measures are taken to minimize thermal bridges. Qualified enclosure analysis prior to construction and monitoring during construction mitigate the negative effects of thermal bridges. The aim is to avoid loss of energy and excessive moisture transfer through the enclosure to assure that it will perform as intended, with energy consumption, occupant comfort and use of structure as expected by the owner. 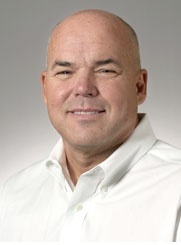 Ed Retzbach is the Senior Project Development Manager on the Building Envelope Solutions Team (BEST) at Tremco CS&W. His primary responsibility includes providing technical support to contractors, architects, engineers and consultants during design of building envelope protection systems. This includes assistance with system reviews, product selection, specifications, and quality assurance methods.